Charles (Chuck) Rhinehart (1922-2008) was a well-known local environmental activist. He was one of the founders of C.O.A.A.S.T. (Californians Organized to Acquire Access to State Tidelands), a member of the board for 37 years, and its president at the time of his death. He fought for years to protect the California coastline and access to it, battling both plans for a nuclear power plant at Bodega Head and the Sea Ranch development. Another major achievement was a two year effort toward the realization of another point of coastal access, the Shorttail Gulch Trail Project, dedicated in May 2004. He taught on the faculty at Sonoma State University for 35 years. Donated by Rhinehart’s wife, Lillian Rhinehart, in 2009. The Rhinehart papers, dating from the late 1960s through 2007, include correspondence, government documents, meeting minutes, newspaper clippings, newsletters, pamphlets, fliers and ephemera. 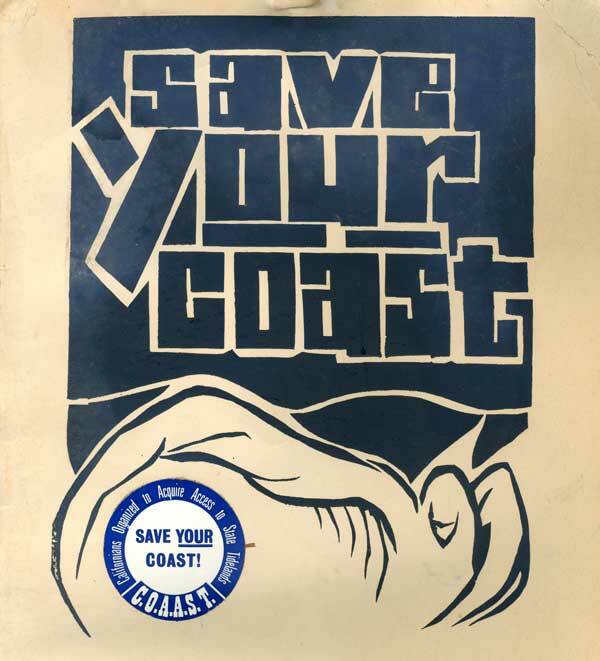 All relate to such varied local environmental issues as estuarine sanctuaries, the Bodega Bay power plant, coastal development, land acquisitions, and to the history of some North Bay environmental organizations, including C.O.A.A.S.T., the Sonoma Land Trust, and the Jenner Coalition. The research material in the collection is available to view by appointment.